Welcome back! 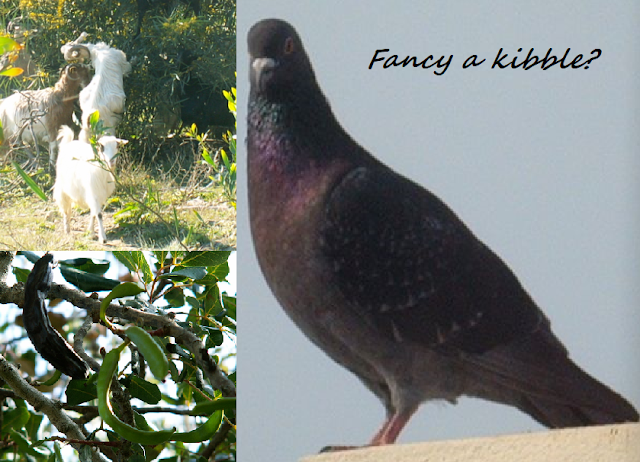 In the last three series we've trekked up hill and down dale and frolicked with the fishes in the Libyan Sea. 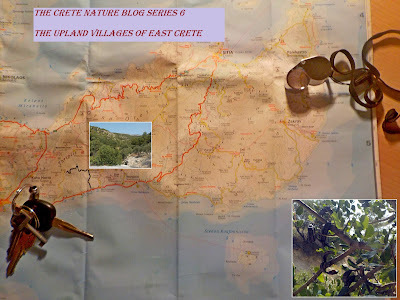 And now for something completely different...a tour of the upland villages of eastern Crete taking in the beautiful scenery and amazing wildlife along the way. So hop in alongside me and we'll pootle along the coast from our base in Ferma, take a left in the village of Galini and head up into the hills. This road meanders along the edge of the Eden Valley and in places the outcrops of rock hang suspended above the road in a most unnerving way. If we bear right here, through the olive groves, we'll make a stop in the Aschlia valley. I see that the carob picking season has begun so lets halt under this carob tree at the side of the road and sit upon the wall awhile.